Through the medium of music, John Williams has created more heroes and villains than Harry Potter could summon with all his magical powers. The Harry Potter franchise of movies are just some of the many famous films for which Williams has composed music in a career that has earned him five Academy Awards and 24 Grammy Awards and counting. Just a few are Jaws, Jurassic Park, Home Alone and Amistad. 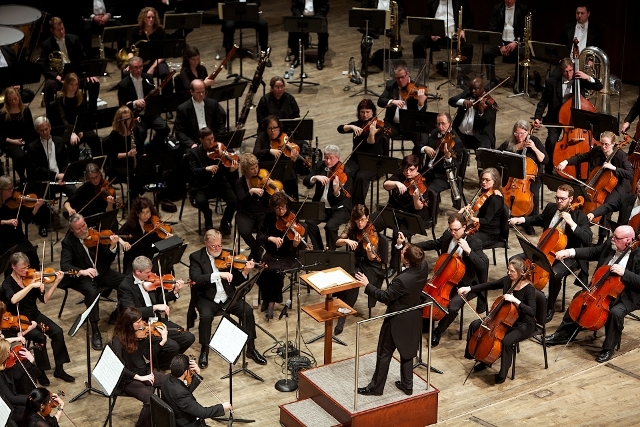 You can hear music from all of the above on Friday and Saturday at the Grand Rapids Symphony’s final Pops Series concerts of the 2017-18 season. 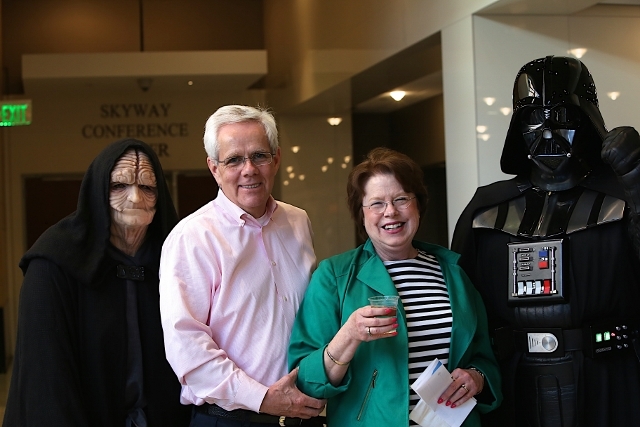 The Grand Rapids Pops presents Star Wars and More: The Music of John Williams with some of Williams’ best-known and most-loved music, plus a few surprises in for good measure. The Fox Motors Pops series shows are at 8 p.m. May 11-12 and at 3 p.m. May 13 in DeVos Performance Hall. 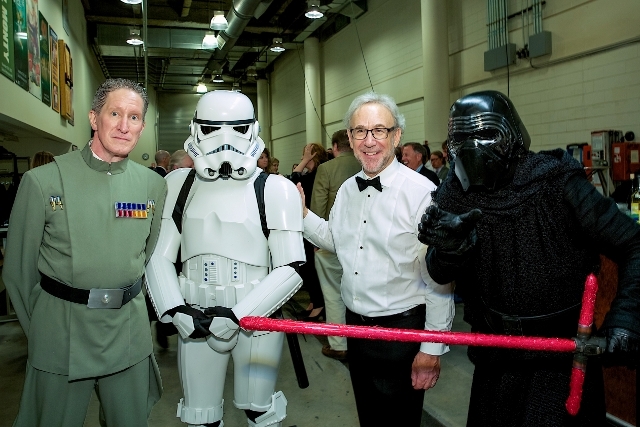 Principal Pops Conductor Bob Bernhardt will lead the symphony in the formidable task of playing 14 selections from Williams’ film scores including five selections from the Star Wars franchise. Drawing inspiration from composers from Wagner to Tchaikovsky to Holst, Williams’ capacity to write evocatively and create characters out of musical thin air seems to know no bounds. “John Williams, I think, is the greatest American film composer we have and one of the greatest that’s ever lived,” said Steven Reineke, music director and conductor of the New York Pops. In Williams’ first film to win an Academy Award for Best Original Score, a two-note theme announces the entrance of a menacing shark in Jaws. In his second film to win the Oscar for Best Original Score, a French horn solo, brief and longing, introduces the young Luke Skywalker, gazing out at a binary sunset on a desert planet in Star Wars Episode IV – A New Hope. The Julliard School-trained composer’s 1977 score with its sweeping sonic landscape, helped define the entire Star Wars franchise and cinematic universe. Highlights from all three of the Star Wars trilogies will be featured including “Princess Leia’s Theme” from Star Wars: A New Hope, “Battle of the Heroes” from Star Wars: Revenge of the Sith, and “The Rebellion is Reborn” from The Last Jedi. Costumed characters from the Star Wars franchise will patrol the lobby of DeVos Hall, greeting guests and posing for pictures at each show. Characters from the Great Lakes Garrison of the 501st Legion, a worldwide Star Wars costuming organization, are expected to include Darth Vader, Kylo Ren, Rey, assorted Storm Troopers, and more. Williams, who served as conductor of the Boston Pops for 14 seasons, personally hired Bernhardt in 1992 as a guest conductor. 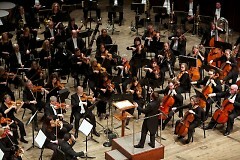 Bernhardt has continued to guest conduct the Boston Pops nearly every season ever since. Bernhardt also will conduct the Grand Rapids Pops in music from films including Harry Potter and the Chamber of Secrets, Far and Away, Angela’s Ashes and more. The Grand Rapids Symphony Youth Chorus, directed by Sean Ivory, will sing vocal music including “Double Trouble” from Harry Potter and the Prisoner of Azkaban and “Exultate Justi” from Empire of the Sun. The final Star Wars trilogy, with The Force Awakens and The Last Jedi, will see its final film premier in December 2019. Williams, now 86, who has composed hours upon hours of new material for each new film, says that the as-of-now untitled Star Wars IX, directed by J.J. Abrams, will be the composer’s last Star Wars film.